Stadio Carlo Castellani will host Saturday’s football game between Empoli and SPAL. Both teams are determined to secure the Serie A survival and, no doubt, there will be fireworks when they face each other in the relegation six-pointer on Matchday 33. The Azzurri have been impressive at home ground of late and the fact that they outplayed star-studded Napoli in their last home fixture is certainly giving fans a reason for optimism ahead of the visit of SPAL. The visitors, on the other hand, managed to shock Juventus at the weekend, but you should bear in mind that Juve boss Max Allegri rested several first-team regulars. 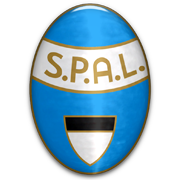 Empoli and SPAL seem to be evenly matched at the moment, therefore, we believe that there is a big value in betting on draw. You should bear in mind that the two sides played out a 2-2 draw in the first half of the season.